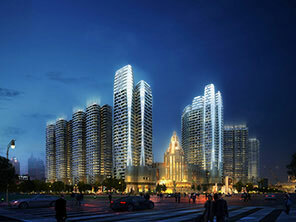 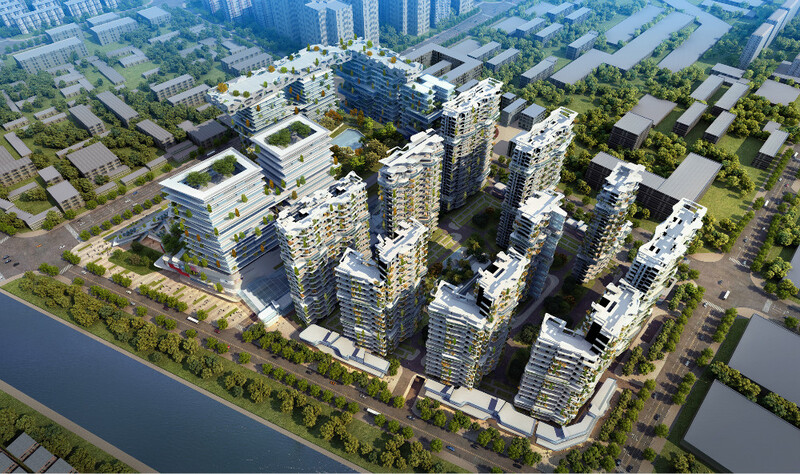 The project is located at the juncture of the Old Town and the Northern Area of Zhengzhou. 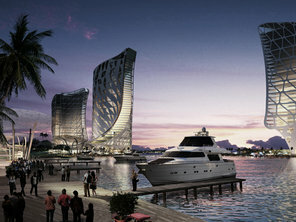 It is positioned to appeal to the groups who enjoy high-end living, vacation and leisure. 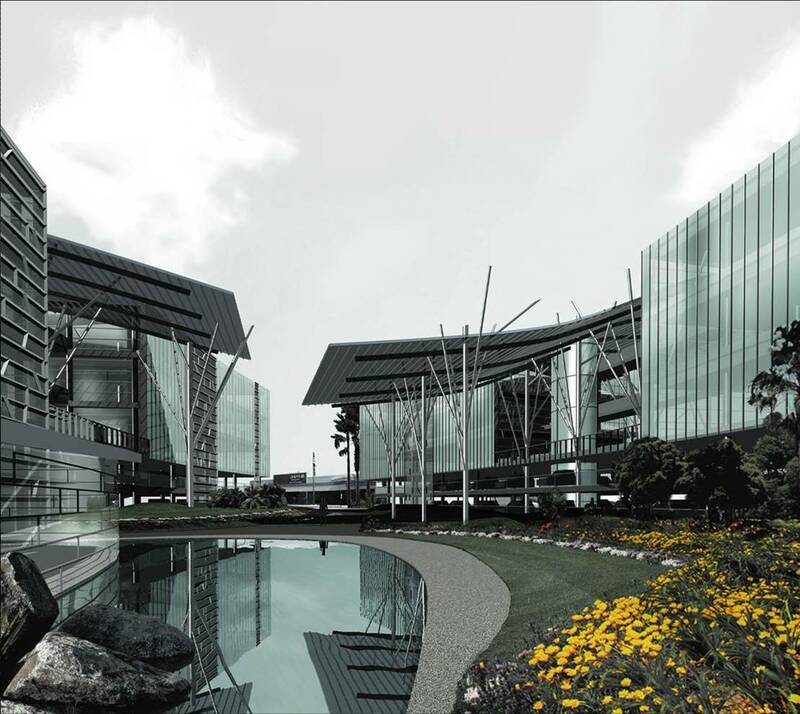 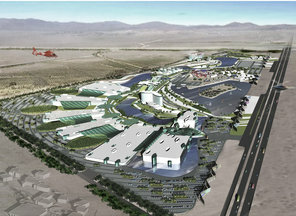 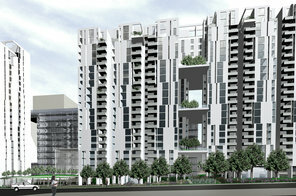 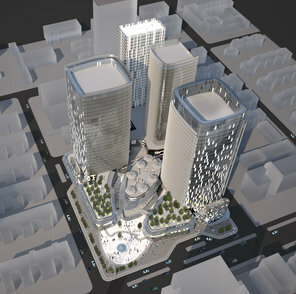 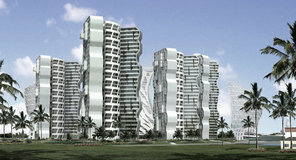 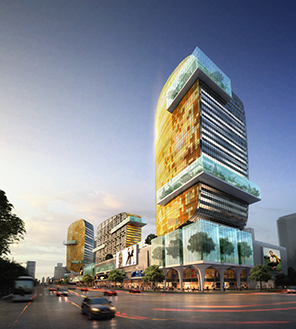 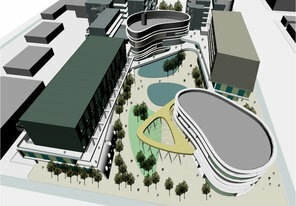 To incorporate the Client’s brand meaning of advocating green healthy lifestyle, the design intends to make the commercial space into an imaginative urban open space. 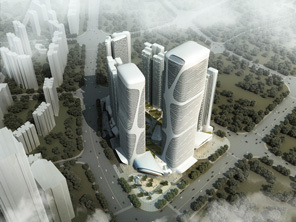 It is aimed at bringing more outdoor nature to the city residents who are usually living in the smog. 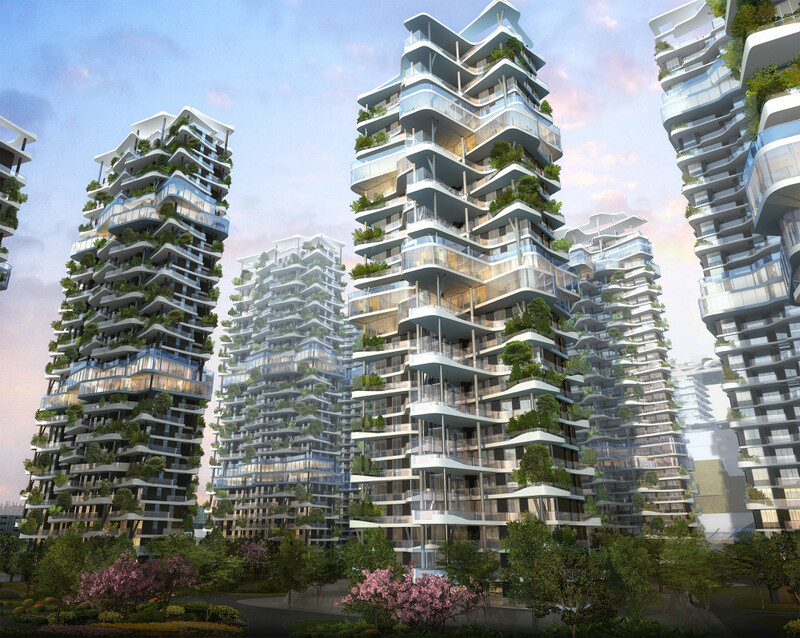 Its open, green, friendly architectural form creates an urban oasis among the city’s concrete jungle. 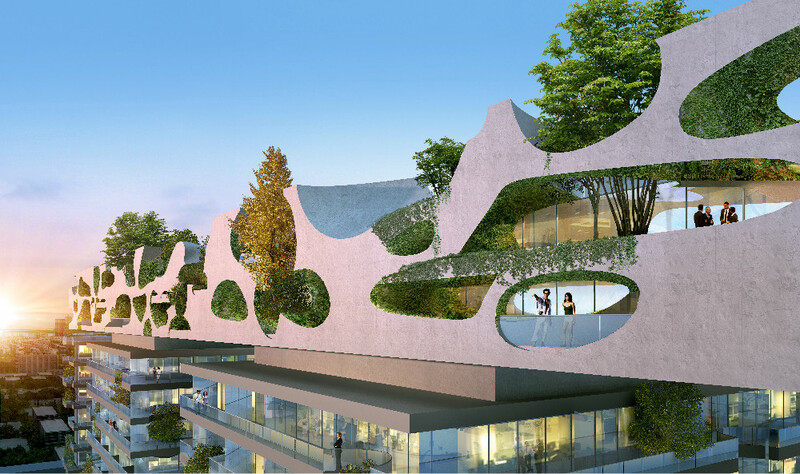 The utilization of Taihu Rock is the highlight of the commercial project’s façade design, which interprets the Chinese culture and its connotation through contemporary architectural language. 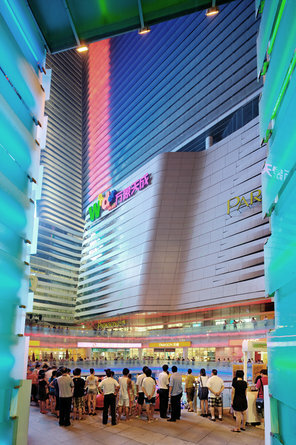 It is also considered as a symbol of the corporation’s place of origin. 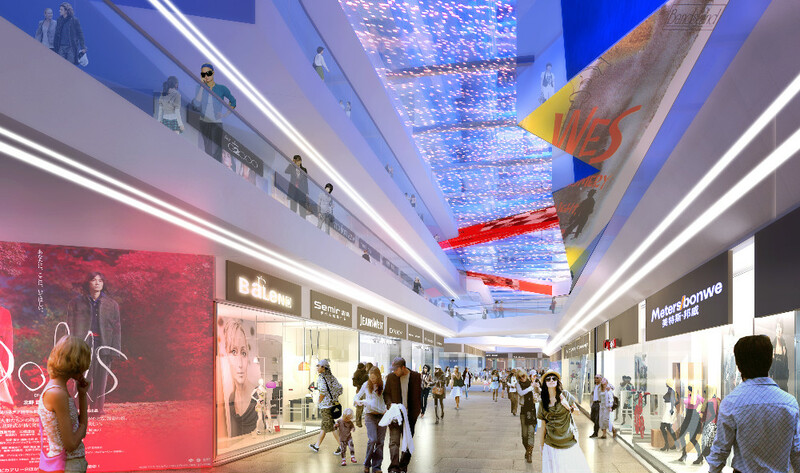 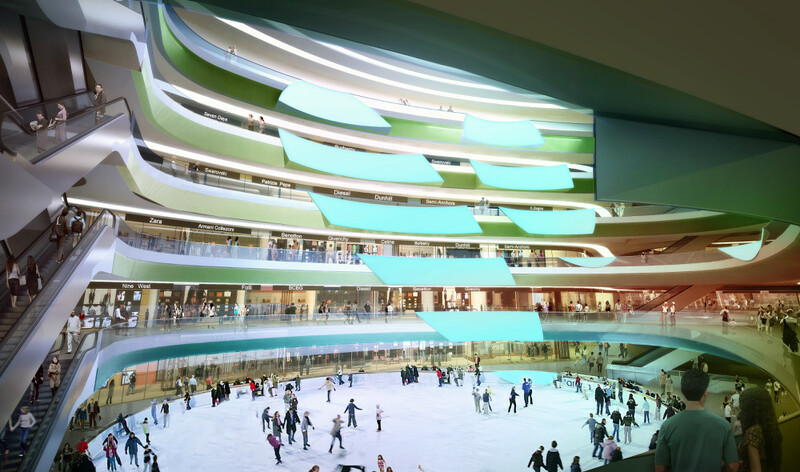 At the same time, the design breaks the limitations of the traditional shopping mall’s enclosed interior space, cleverly extends the commercial space to the outdoor pedestrian street, creating a multiple-level, horizontal, three-dimensional new commercial space. 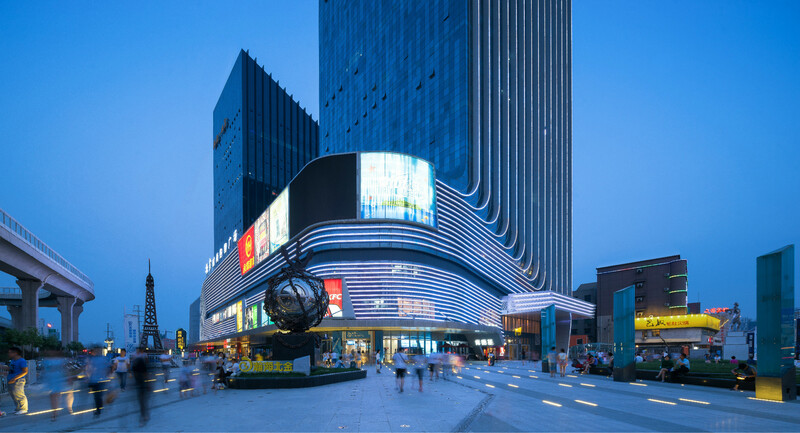 The architectural form maximizes the building’s business value, utilizing the semi-outdoor commercial street to offer the possibility for some shops to achieve outdoor sales. 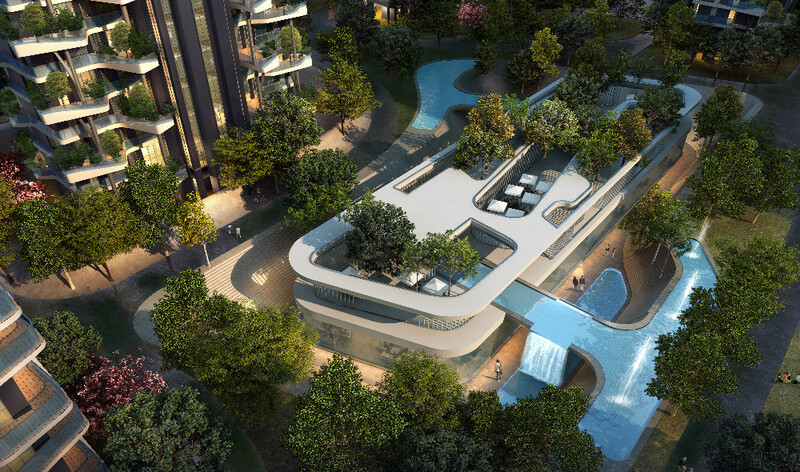 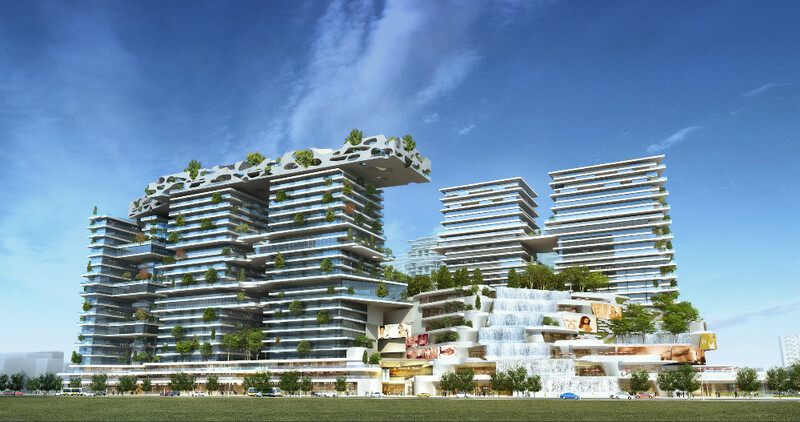 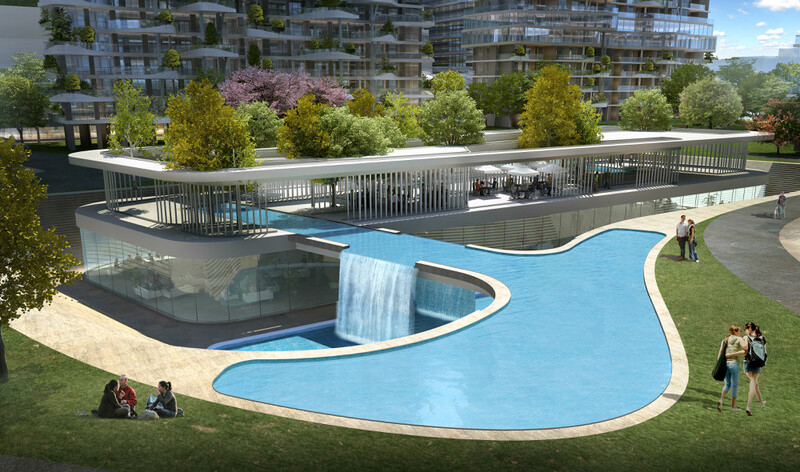 The design introduces the water features and fountains to the outdoor commercial space and the green platform, expressing vividly the concept of “City of Mountain and Water”. 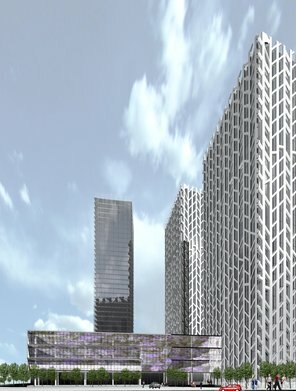 The waterscape can function as music fountain lightshow during the night, turning Sinian City’s entrance plaza into a real urban center while attracting lots of business people. 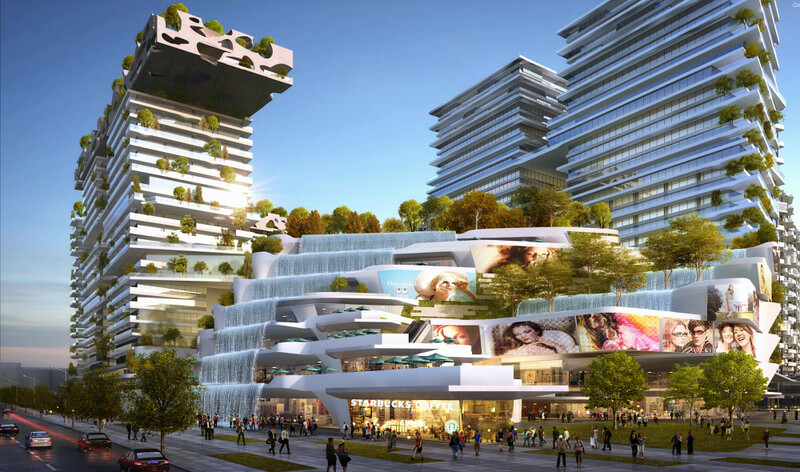 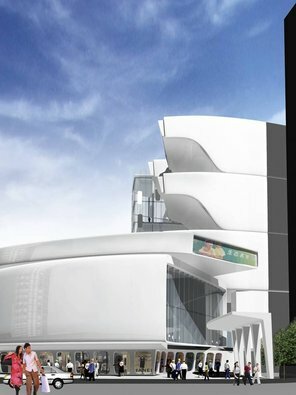 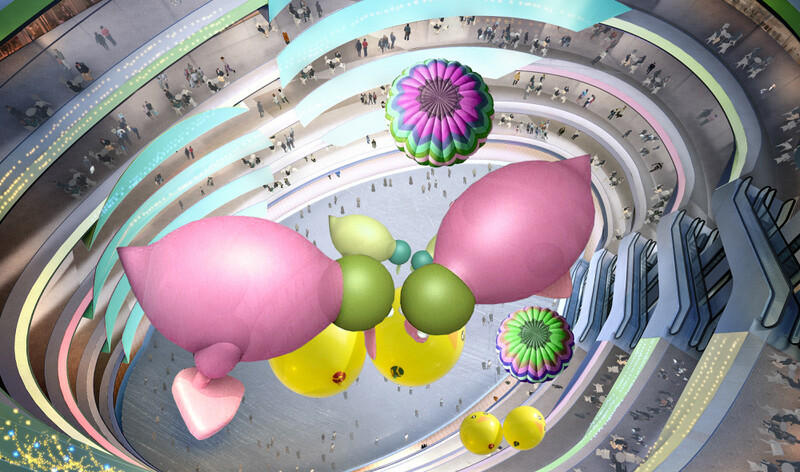 The project consists of Art and Culture Experience Center, Recreation Center and Shopping Mall, combining with a large indoor theme plaza and a performing art show stadium. 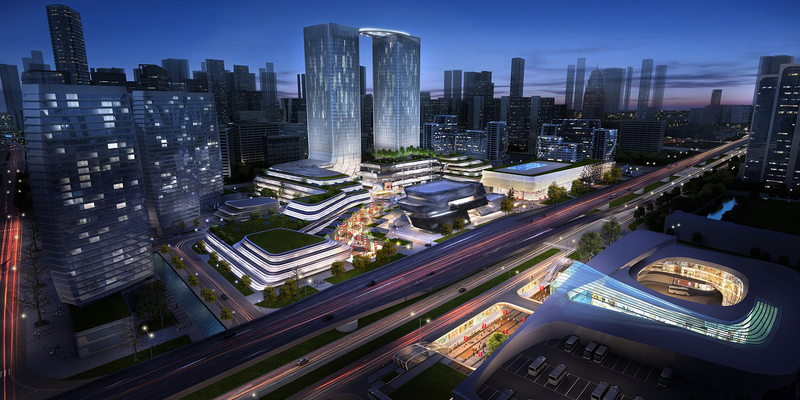 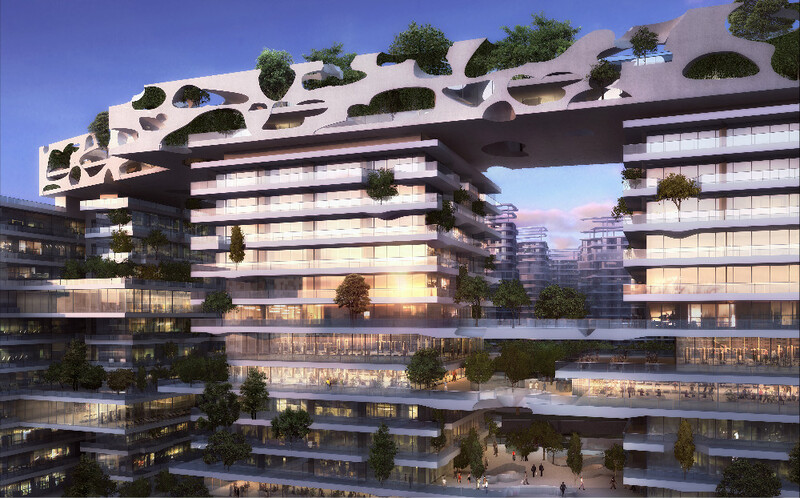 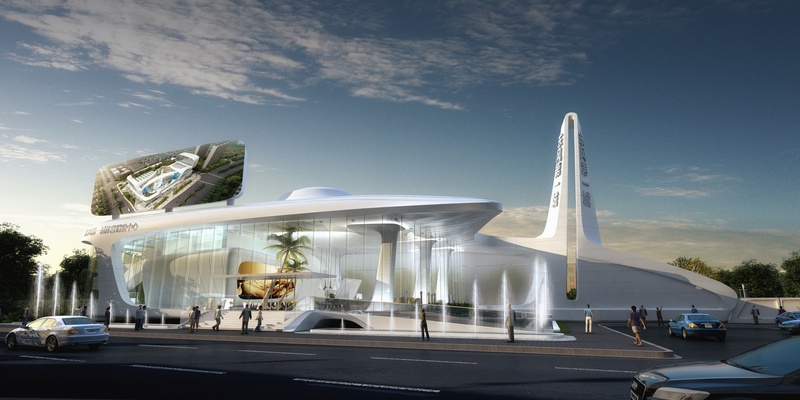 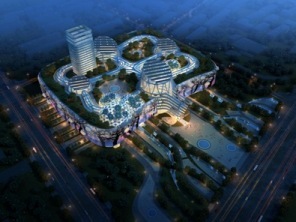 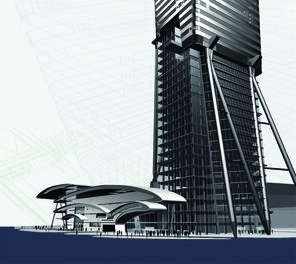 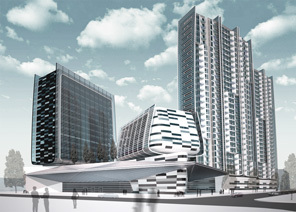 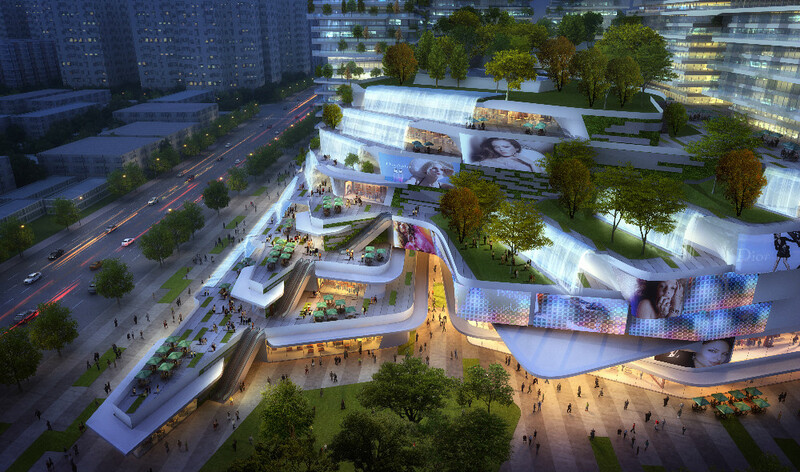 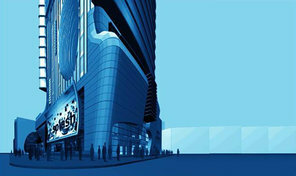 Targeted at meeting the "798" style consumer needs, the project is going to be a unique commercial landmark in China. 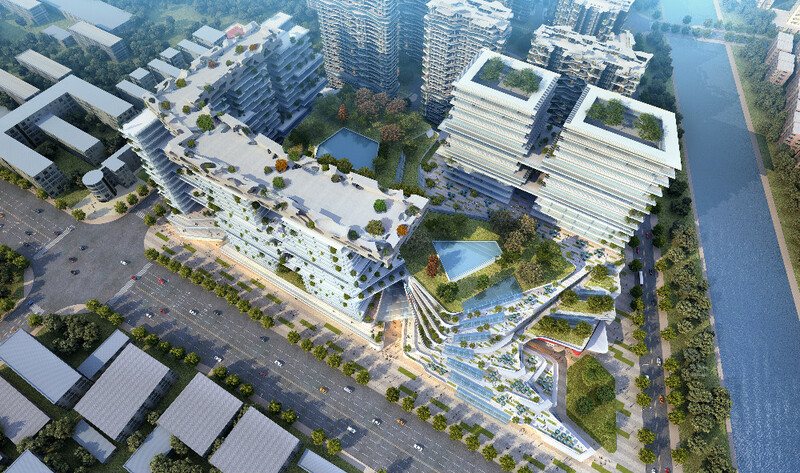 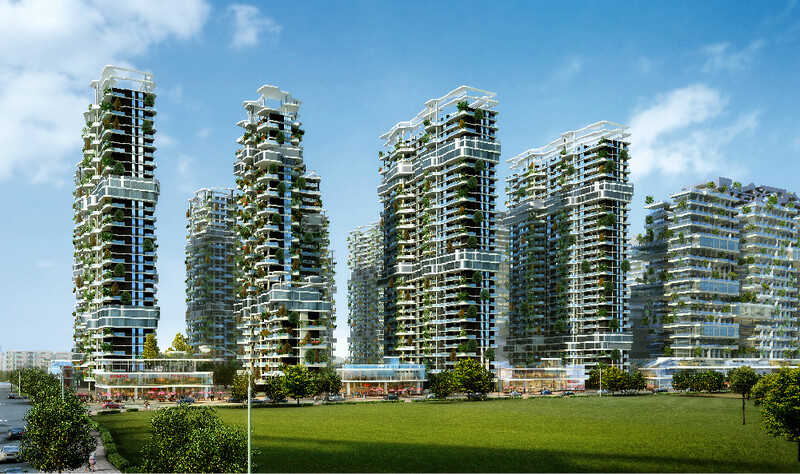 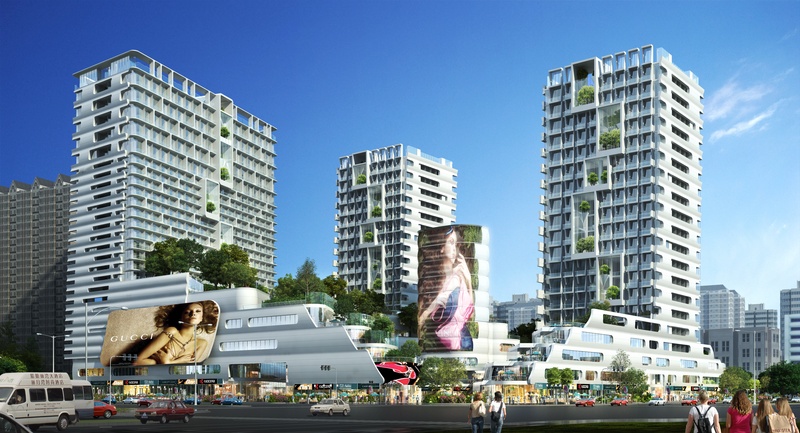 The design for Sinian City’s residential part highlights the sustainable and healthy lifestyle, creating an eco-friendly, healthy and low-carbon living space for the target audience. 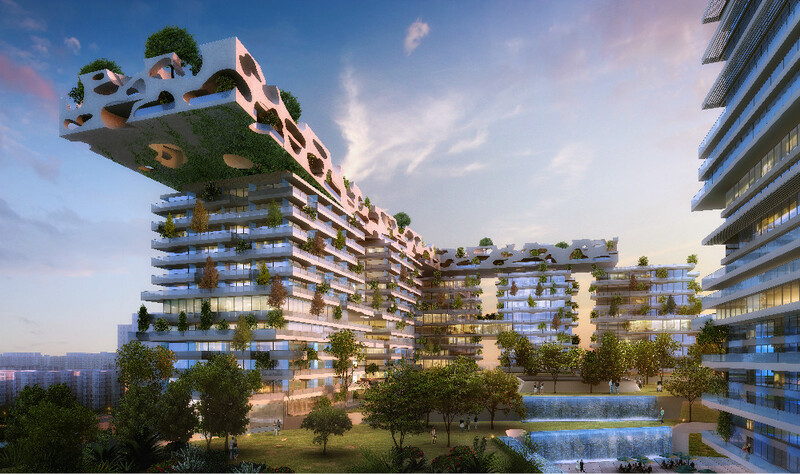 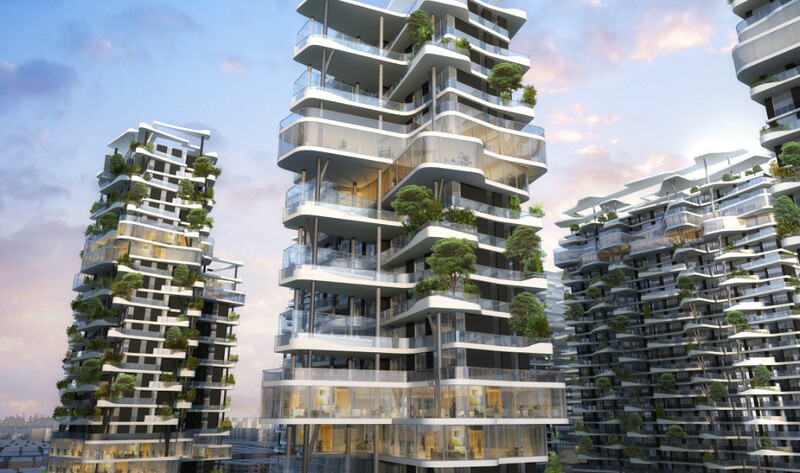 The Green Terrace adds a fresh and natural rustic charm to the urban community; the solar energy club offers the innovative experience for low-carbon lifestyle; The Green Sky Club and Garden House bring greenery into the vertical living space; the wavy balconies, together with greenery, highlights a spirit of dynamic lightness for the overhangs visually.